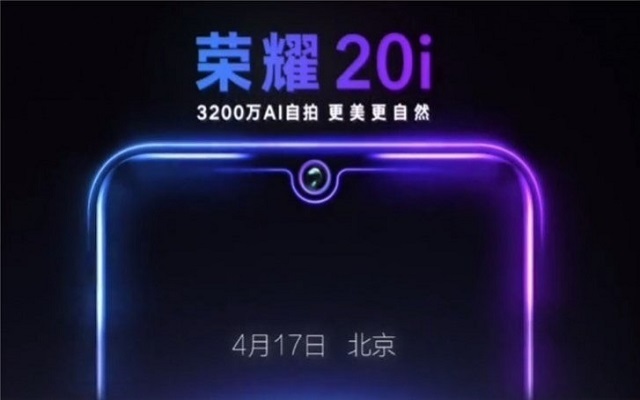 The Honor 20i is officially coming on April 17. The announcement is made by the company on Weibo through a promotional video. The teaser video has not unveiled anything significant about the phone but only shows that the phone will come with a notched screen, where the waterdrop cutout will be occupied by a 32 MP selfie shooter. Honor 20i has also appeared in the Ministry of Industry and Information Technology in China. It just revealed that this phone comes with three shots, and the total number of pixels (24 million + 2 million + 8 million three shots) just reached 66 million, which coincides with April Fool’s Day. Moreover, the new device has a 6.21-inch 2340×1080 display, that measures the dimensions of 154.8×73.64×7.95mm, weighing 164g, with black, blue-violet gradient and another color matching. According to some rumors, the Honor 20i might be powered by the mid-range in-house Kirin 710 SoC clocked at 2.2GHz Octa-Core processor. The device will be available in two variants- 4GB RAM + 64GB storage and 6GB RAM + 128GB storage. It is to be expected that the device will run on Android 9.0 Pie-based EMUI 9.0.1 out of the box. The powerhouse of the phone will be fuelled by a moderate 3,200mAh battery. So let’s wait for the launch event whether we will get to see all the above-mentioned specs in the device or not.